The links within this post lead to news articles about the mass shooting at a Parkland, Fla. high school and may contain images that are graphic and/or disturbing. Please be cautious when visiting these links. 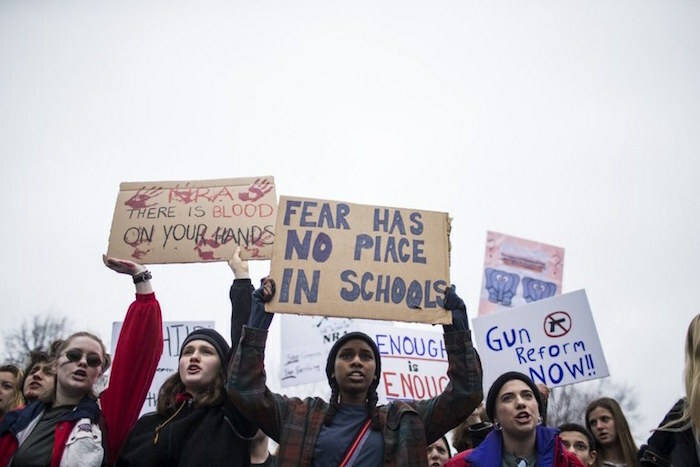 Last week, the students who created the Never Again movement experienced something that no one should ever have to: a terrifying mass shooting at their high school, Marjory Stoneman Douglas, that left 17 of their own dead. In the wake of the attack these students got angry—and then they began calling for change. So they created Never Again, a movement which protests the current gun laws and politicians who accepted money from the National Rifle Association during the 2016 campaign cycle. Who exactly are some of the young minds behind this political movement? Read on to find out. Cameron, a 17-year-old high school junior, came up with the movement's name, "Never Again." Before the shooting, Cameron was a part of the high school's theater group and was considered a class clown. Now he's taken a more serious role as he asks politicians for gun reform laws so tragedies like the one in Parkland don't happen again. In just one day, Cameron raised about a quarter of a million dollars for the March For Our Lives, which will take place in Washington D.C. (and other major cities) on March 24 and calls for an end to gun violence and mass shootings, according to its website. The march has also received millions of dollars in donations from the likes of George and Amal Clooney, Oprah Winfrey, director Steven Spielberg, other prominent public figures and private citizens. "We can't ignore the issues of gun control that this tragedy raises. And so, I'm asking—no, demanding—we take action now," Cameron said in an interview with CNN. This movement, he added, will be nonpartisan. He believes it's not about what party someone is a part of, it's about the lives lost for no reason. He has also called out Sen. Marco Rubio and Gov. Rick Scott of Florida for not doing enough to prevent this. "The community just took 17 bullets to the heart. And our lawmakers Rick Scott and Marco Rubio—they have the blood of 17 people on their hands," Cameron told NPR. 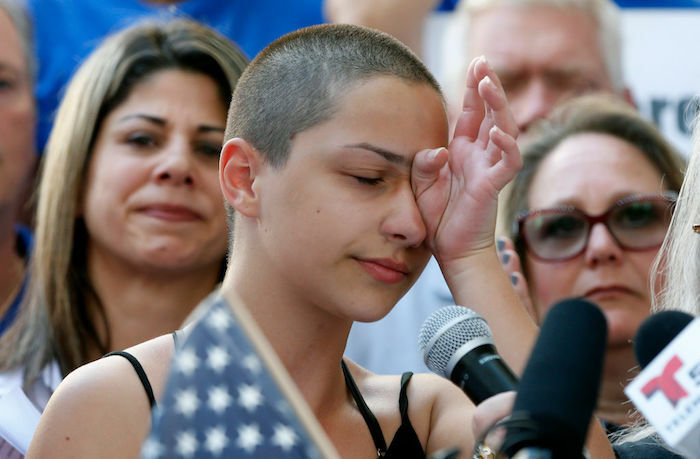 High school senior Emma was invited to speak at an anti-gun rally in Fort Lauderdale, Fla. last Saturday, just three days after the shooting. She woke up early that morning to write a speech that was filled with passion and emotion. Videos of her speech—which was dubbed "We Call B.S. "—quickly went viral. 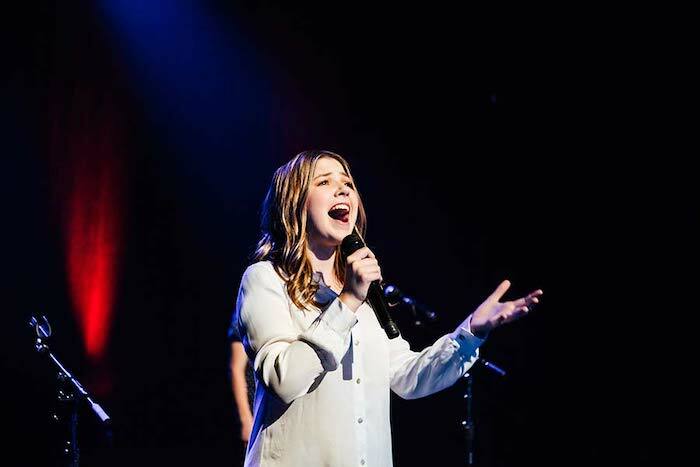 For 11 minutes, Emma spoke of her grief and anger about how her friends were lost too soon. "All these people should be home grieving. But instead we are up here standing together because if all our government and President can do is send thoughts and prayers, then it's time for victims to be the change that we need to see," she said in the speech. After the speech, Emma's high school Principal Ty Thompson praised her in a tweet. In an interview with The New Yorker, Cameron said of his classmates, "...David [Hogg, more on him below] has an amazing composure, he’s incredibly politically intelligent; I have a little bit of composure; and Emma, beautifully, has no composure, because she’s not trying to hide anything from anybody." Emma's raw feelings, expressed so publicly, help us understand the true pain that she and her classmates feel. You can read the full transcript of her speech here. It may not be likely that the President will speak to her due to the profanity in her original tweet, but she is still working toward the movement with her classmates. She's also used her Twitter account to update her followers on the students' trip to Tallahassee today, where they met with several lawmakers. David is another a senior at Stoneman Douglas, as well as a student journalist. 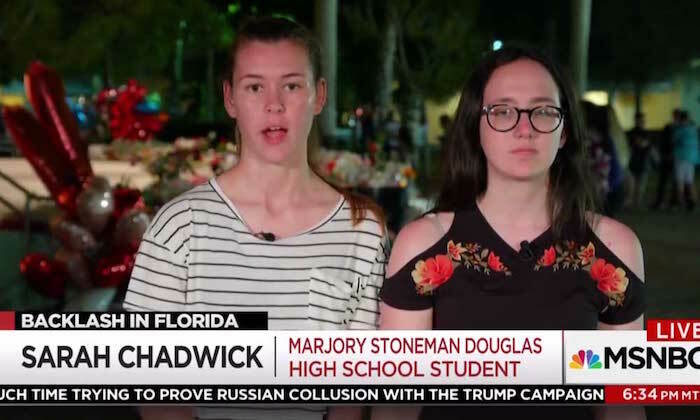 During the shooting, while students huddled together in classrooms and closets, David actually interviewed students in real time. "I want to show these people exactly what's going on when these children are facing bullets flying through classrooms and students are dying trying to get an education," he told one CNN reporter. 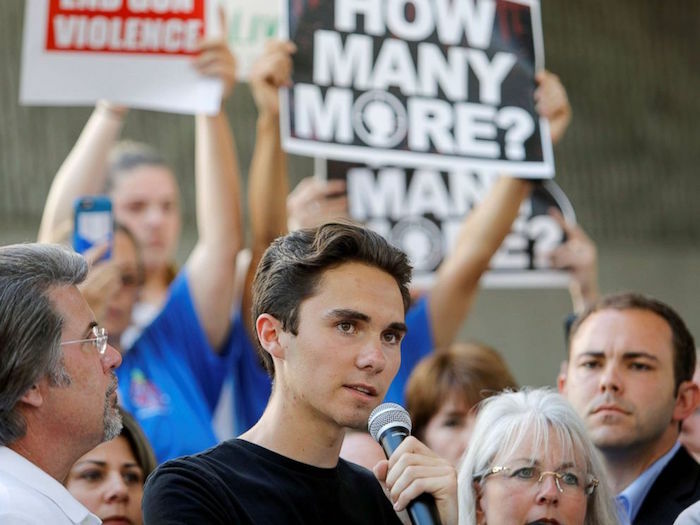 David began speaking with reporters on television the day after the shooting and has now appeared numerous times on networks such as CNN and CBS News, pushing for gun reform. As Cameron noted, he speaks eloquently and makes it known he will not stand for lying and government irresponsibility. In a message to lawmakers and Congress, David said, "What's more important [than ideas] is actual action...that results in saving thousands of children's lives." What will you do to get involved and support Never Again? Do you plan on attending March for Our Lives? Let us know in the comments.